Laundromap is an app that enables their customers to outsource their dry-cleaning and laundry with the app’s door-to-door service. Laundromap launches within the next few weeks and aims to revolutionise the way Kiwis do their laundry. The app is available on iOS and Android. 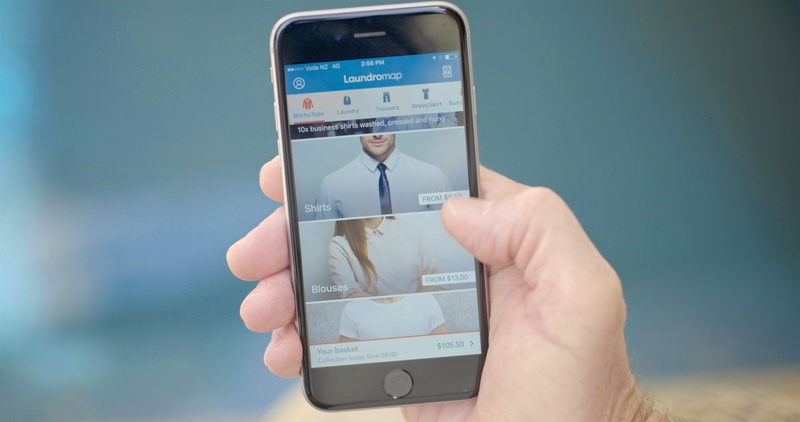 Categories in the app range from shirts to pants to linen and picks up the laundry from their home or office at a convenient time for each user. The app also features live updates through a GPS tracking system and informs users through each step of the process. “We have seen the rise of user-centric applications like Uber, WineFriend and My Food Bag which highlights the growing trend of outsourcing our lives and using technology to our benefit. Domestic chores such as dry-cleaning and laundry have naturally followed and Laundromap is a service offering customers a smarter and simpler way to do their dry-cleaning and laundry,” said Torben Landl, co-founder of Landromap. Dedicated to providing the highest quality dry-cleaning experience, Laundromap has teamed up with Maxwell’s to carry out it’s high-end dry-cleaning services. The services will only be available to Aucklanders to start, but are planning to expand to all of NZ and then to Australia in the near future.